Due to featuring images from recent wedding shows on Wedding Wednesday lately, it’s been a little while since I showcased a real wedding on Flowerona. 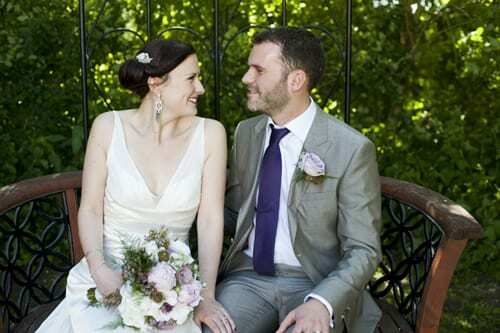 So, today I’m delighted to feature Claire and Paul’s wedding. 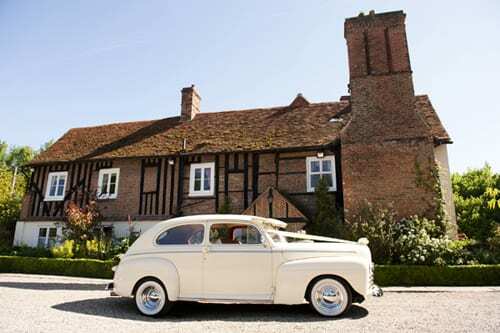 They got married this May at Newland Hall in Essex. 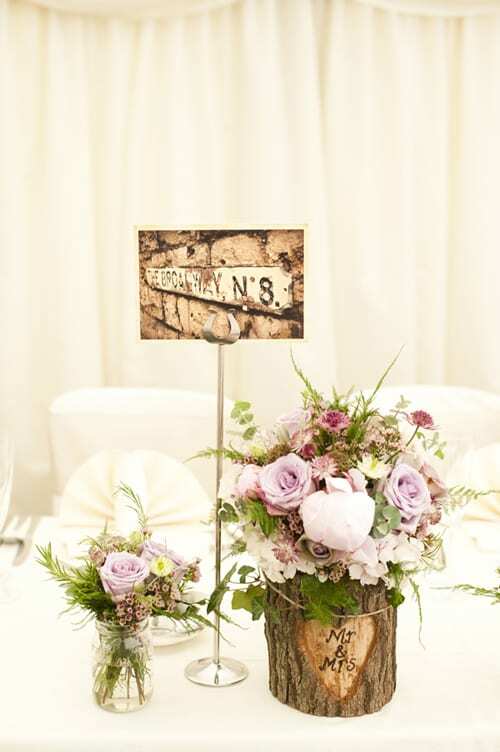 The wedding flowers, with a vintage colour palette of soft pink, lilac and white, were created by florist Shrinking Violet Floral Design. 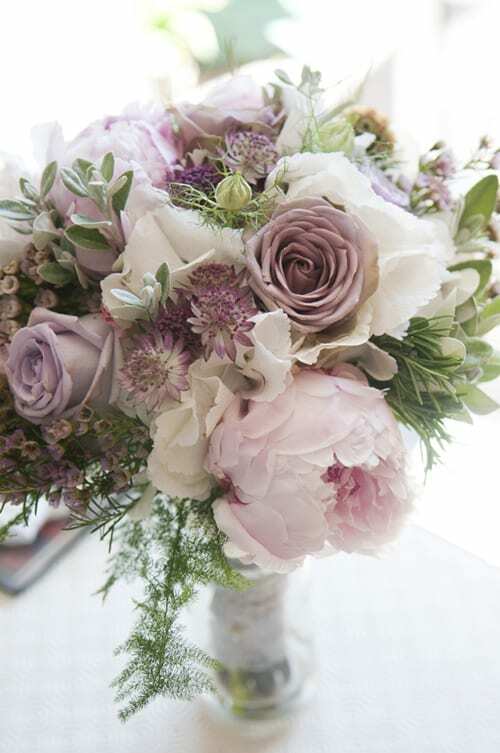 The following flowers were used in the arrangements, including Claire’s stunning hand-tied bouquet: Ocean Song and Amnesia roses, peonies, astrantia, scabiosa seed heads, hydrangeas, waxflower and nigella. And the foliage included senecio and ferns. 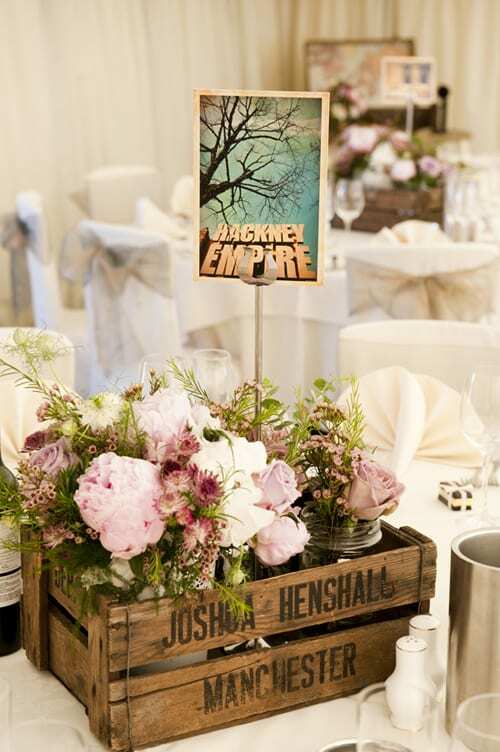 Wooden crates, trees & carved logs were used to decorate the venue. And all the logs were hand-carved, with the text lovingly burnt onto the log! 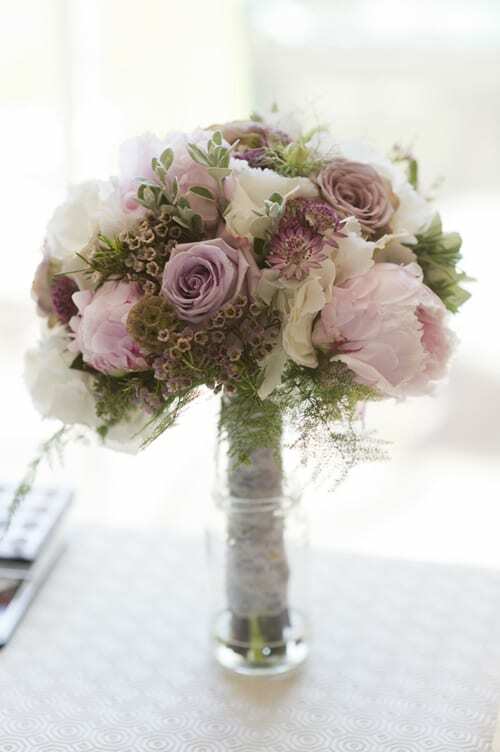 I just couldn’t resist including a second image of the beautiful bouquet. 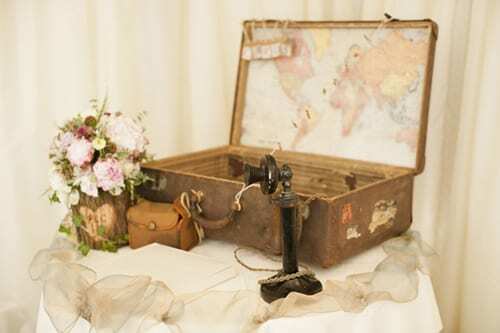 I love the combination of different textures and the soft colour palette. 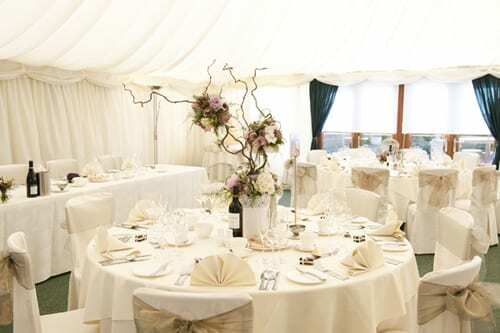 I hope you’ve enjoyed seeing Claire and Paul’s wedding today…whether you’re planning your own special day or simply looking at ways to arrange flowers in your home. 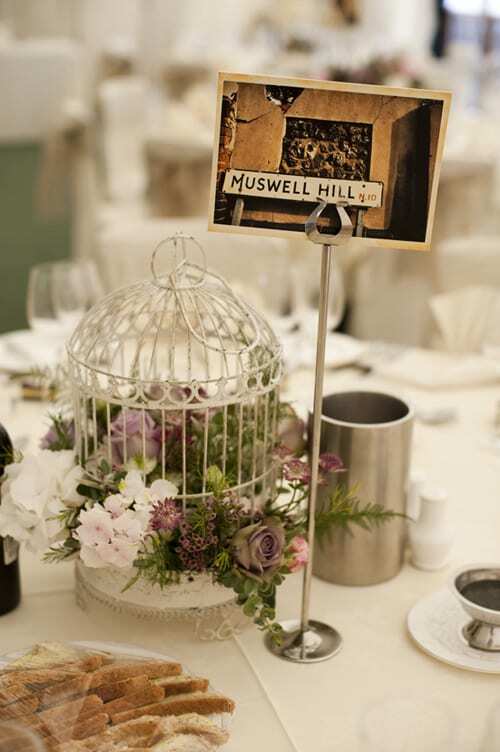 Many thanks to Jemma from Pearl Pictures and Lorraine from Shrinking Violet Floral Design for all their help in compiling today’s blog post.